Is now a good time to buy or sell my property? It depends, home values are rising, but sales of new single-family homes are declining and there’s a lack of new construction. It was a mixed bag of real estate news last week, with some positive and negative signs for the housing industry. Sales of new single-family houses were down in April by about 1.5 percent over the revised estimate for March. 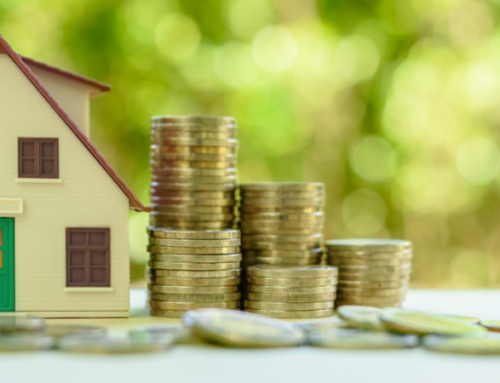 Last week, the Department of Housing and Urban Development and the U.S. Census Bureau reported that sales of new houses were at a seasonally adjusted annual rate of 662,000. While that number is up 2 percent from a year ago, it’s a worrying sign that the housing market could be stalling due to a lack of new construction. The number of new homes being built is still less than before the Great Recession, and should be over 1 million new homes per year. Moreover, the new houses that builders are building right now tend to be higher priced, semi-custom or custom homes. They’re not starter homes for first-time buyers, who are hungry for something new to buy in their price range. How do we know? The median sales price of new houses sold in April 2018 was $312,400. The average sales price was 407,300. That tells us that a lot more higher-priced homes are being sold. Even at today’s still-low 4.5 percent interest rate for a 30-year mortgage, you’d still need an income of about $90,000 to afford a home that costs $312,400, with about a $10,000 down payment. That’s $30,000 than today’s median income for a family of four. Realtor.com released its May data preview and the data indicates home price appreciation could be slowing down, while inventory is holding up. Both are good signs for home buyers. According to Danielle Hale, chief economist of realtor.com, the amount of housing inventory in May is on track to show a smaller decline than April’s 6 percent slip from a year ago. Zillow’s chief economist doesn’t agree that home prices are slowing down. In its April Zillow Real Estate Market Report, national median home values are rising at the fastest pace in 1 years. Across the country, home values rose 8.7 percent over the past year to a median value of $215,600. Markets where home values are rising the fastest include San Jose, Las Vegas and Seattle. Over the past year, Zillow found that San Jose home values appreciated 26 percent to a median of $1,263,900.